To be strictly accurate, we’d call this period the ugly, the bad and the good. Because 50 years on, our sport is on a great high, with Bradley Wiggins on Team Sky aiming to become the first Brit to win the Tour de France. 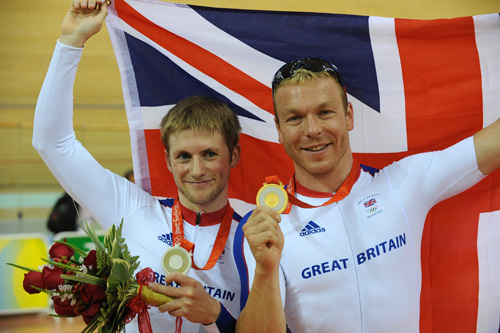 What better Golden Jubilee celebration could British Cycling have? Especially as the sport was bent on self-destruction 50 years ago. That’s when the British Cycling Federation was created in 1959 to bring an end to a 16-year cycling war over road racing. Among other things, the war cost the sport the Daily Express sponsorship of the Tour of Britain. This was the amalgamation – more like ‘shotgun wedding’ – of the rebel British League of Racing Cyclists which gave us road racing and the National Cyclists Union who opposed it. Today’s success story owes much to that historic moment. Previous features have dealt with the ‘war’, but didn’t tell of the rocky honeymoon which followed. Strangely, British Cycling appeared not to want to rake over old coals, let alone celebrate its Golden Jubilee on time – last year! OK, half way through its anniversary year it did get round to running all the history stuff on its website, but announced that its anniversary celebrations would be held on February 20, 2010 – a year late! However, BC doesn’t tell Petty’s story. Or that of a pivotal figure of those early days, former Derbyshire pro Dave Orford. Orford championed the BLRC cause, gave it leadership and held it together. It was Orford who brought the Milk Marketing Board into the sport, to sponsor the Milk Race, which ran for over three decades. Orford is one of the unsung heroes of our sport today, three times world veteran road race champion. He tells me he was Britain’s first vet world road champion (1986, 1990 and 1995). It is a shame that Orford cannot be included in BC’s Hall of Fame, as his achievements predates its formation. To put the Sky Team story into perspective, we need to look back. Prior to the Second World War, time trialling and track was the staple diet. Road racing on public roads had been banned since the Victorian era. When Percy Stallard, the ‘father of road racing’, ran his ‘illegal’ Llangollen to Wolverhampton road race in 1942, all hell was let loose. The NCU disqualified all involved. This led to the formation of the BLRC and the sport was split asunder. Whole families rowed! Surely, the old BLRC men should let all this go now? But they can’t. They need closure. They want an apology from the BCF. Petty rode the BLRC Tour of Britain five times, with a best of 29th. He was rider-manager of the Croad Automatic team. He rode Isle of Man week with the great Fausto Coppi. Spain awarded Petty the title of Don for his work in promoting cycling in Majorca. “Cycling in Britain in the Forties and Fifties was almost the number one sport,” says Petty. “100,000 spectators saw the Tour of Britain. “It was the BCF who turned cycling into a Cinderella sport,” he says. “From 1942 and up to the time the BCF was formed, cycling was almost a national sport, built up by the British League of Racing Cyclists, the British Army, Navy, Air Force, who each had their own five-day Tour of Britain. They had enormous crowd numbers. “During this period, one BLRC man endured such vilification from the NCU and its partners in crime, time trialling body the RTTC, that it was said to have led to his early death. And many more riders and officials were completely destroyed by the BCF’s harassment while trying to earn their living as independents and pros in Europe and other parts of the world,” says Petty. In BLRC days, Petty rode in the Wilson Cycles team with Ron Coe, who could win as many as 35 races in a year. “I went abroad to ride in Belgium at first and of course I hadn’t got an NCU licence. But I just took my BLRC licence and they allowed me to race. And I came back to a BLRC general meeting there was a man from the NCU there discouraging professionalism and saying it was dying throughout Europe. Petty made such a good case that he won the day and was allotted some money to develop the pro class. Many of the racing opportunities we now take for granted were created despite BCF indifference. For instance, the BCF left schools racing to English Schools CA, formed in 1967. Olympic champion Nicole Cooke was an ESCA baby! This became the British SCA in 1997 but they remained out on a limb. The League International (TLI) was formed in 1982 to organise age-related racing because the BCF couldn’t see the need. Then came the LVRC organisation formed in 1986 because of BCF non-interest and downright discouragement of the veteran category at that time. In some ways the BCF of the past suffered from being a membership organisation. No matter how many ideas committees or go-ahead individuals came up with, they first of all had to get them past National Council. And National Council, that ad hoc collective mind of the sport from across the divisions (now Regions), often couldn’t agree, and to be fair, was often not well briefed. Today’s BCF – or British Cycling as it now likes to be called – is a far cry from the purely administrative set-up of old, and is modelled more like a business. It has a CEO and has brought in ideas people who have the broad backing of the National Council. And of course, it is blessed with Lottery millions and UK Sport backing, to say nothing of Sky’s millions. All this underpins all the bright projects currently underway. Under the former administration, it was no to age-related racing, no to vets’ racing. The BCF held out against the introduction of fourth-cats because it made racing too easy. It never gave schoolboy racing much thought – leaving it to ESCA – which gave us Nicole Cooke, remember? As for juniors, they were generally ignored until they turned senior. This stagnation persisted into the 1990s. Over the decades, the federation simply failed to profit from the several world titles that came our way, or the big promotions. We had the Tour de France’s historic first visit to England at Plymouth in 1974. 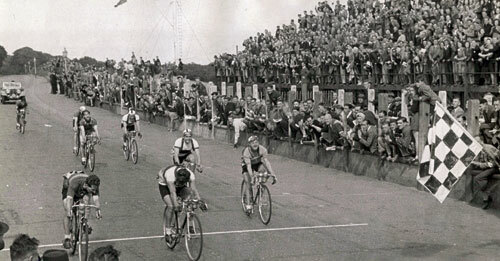 We hosted the road and track Worlds in 1970 and 1982. Then there was the Tour’s second visit for two days in 1994, masterminded by Alan Rushton, the British promoter who made the biggest impact on the profile of our sport. Before Rushton there was classy boxing promoter Mike Barrett who brought Europe’s elite to take on Britain’s best at Crystal Palace and Eastway – the famous Merckx meeting – in the 1970s. But it was a former rider who made top cycling stick, Alan Rushton. In the early ’80s Rushton revolutionised our sport, first by introducing the brilliant Channel Four televised city-centre series, lining up top Continental stars against the Brits. 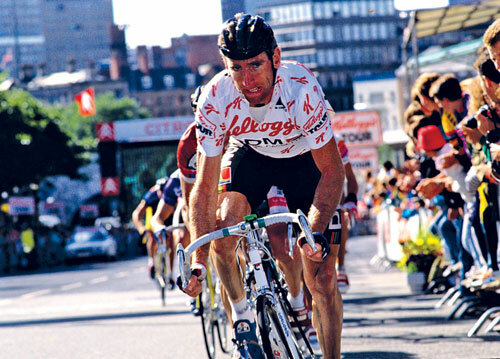 This was a fabulous period, for Rushton gave us the pro Tour of Britain, a series of one-day road classics for the top European teams, and of course his World Cup track events at Manchester. But his innovative approach was so far ahead of the BCF’s he was out of sight! It was a different story when the Tour Grand Départ came to London in 2007. By then, BC was on song. How did this happen? The biggest thing ever to happen under the former BCF was the creation of the Manchester Velodrome. And it was Chris Boardman’s historic gold medal in the 1992 Olympic Games which led to that. Credit needs to go to Manchester City Council and Ian Emmerson, the BCF president of the time, for building Britain’s first indoor velodrome. This has been absolute key to everything. But it wasn’t until the big upheaval, in 1996, that our sport began to realise its true potential, with a new board and with Lottery money. This truly was British Cycling’s Year Zero. Today’s successful set-up is beyond compare. But HQ can still seem insensitive when it is dealing with the regions. However, British riders are the toast of the sporting world and cycling is the leading UK Olympic sport. We once again have a pro Tour of Britain, run by Mick Bennett who cut his teeth with Rushton’s operation, but this time backed by Sweetspot. And last year they lifted the sport’s profile some more with their Tour Series of city-centre races. All this makes the BCF’s shaky beginnings all the more fascinating. Happy 51st anniversary! A racing cyclist’s worst nightmare , By Tony Hewson, winner of the 1955 Tour of Britain who rode in the Tour de France. He puts the record straight about how the rebel British League of Racing Cyclists framed our sport’s future. Published by Mousehold Press. Price £12.95.